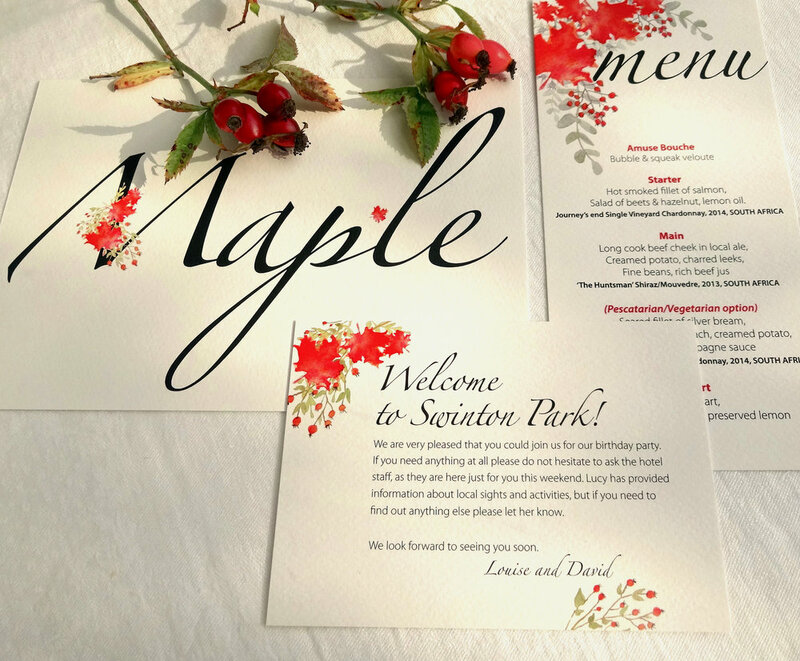 Off the peg, event stationery customized with your details. Treat your wedding to beautiful, quality stationery products. Simply choose your favourite design from our “Off the Peg” collection. whether it be for a wedding, special celebration, baby announcement or birthday, any of these can be personalised to suit your own event. All our collections are printed on luxurious card stock with matching envelopes. You may like to consider our Bespoke design service from a one off design to a collection especially for you. 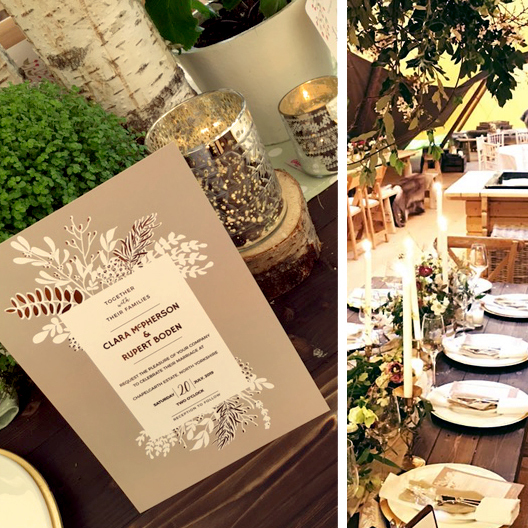 Bespoke venue designs are available upon request. The latest date your order should be delivered. If you aren't sure, leave blank and we can help you with this. choose all items you would like to add to quote. We will be in touch within 24 hours. Thank you for inquiring with Rigby Design House! A minimum order is 25. CLICK THE "REQUEST A QUOTE" BUTTON ABOVE TO PROVIDE YOUR DETAILS. We will get in touch to confirm details of your event and any other specifications needed to prepare your quotation. You may prefer to phone us (07745 887 085) so that we can discuss your requirements in person. PRICES will vary based on quantity and your specifications. When you are happy with your quotation and your quantities and spec have been agreed, we will ask for a 50% deposit. On receipt of payment your design work will commence. We accept payment via electronic bank transfer, details of which can be found on your invoice. Please allow 5 days for your Off the Peg design proof. Once we complete your design, we will send you a digital colour PDF proof for your approval. It is very important to check all the information details thoroughly, particularly the layout, spelling of names and dates. We can refine it to perfection usually within one or two tweaks although three amendments are included in the quote. Any additional alterations will be charged at £50 /hour. Once you are 100% satisfied with the design and have approved the design proof(s) via email, we will then require the remaining 50% of the invoice total before sending it to our trusted printers. We are unable to make any further changes once the artwork has been sent off. 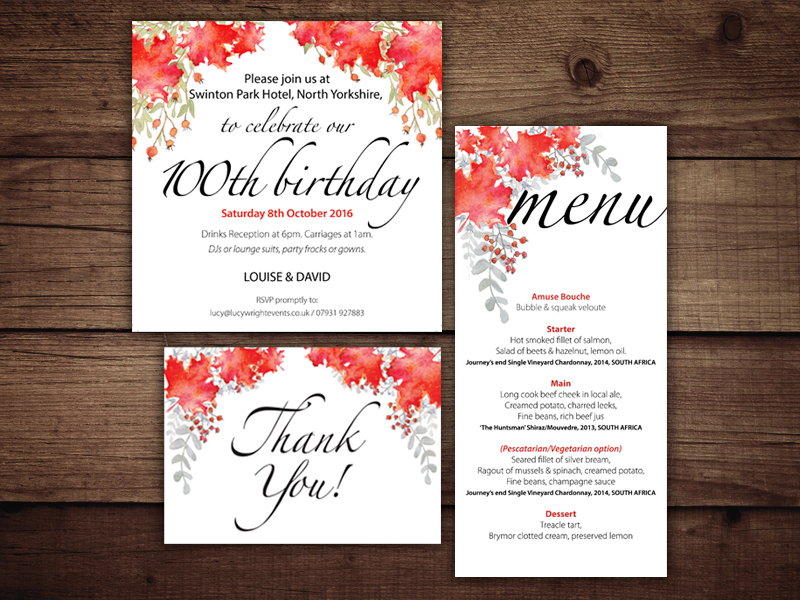 We aim to have your stationery printed, packaged and delivered within 10 working days of the final design proof being approved. Delivery cost is £10. Copyright of designs created by Rigby Design House remains with us and may not be reproduced in any way. All rights are reserved. Email us to let us know which samples you would like. Please note all of our samples come non-personalised. A sample pack is £5.00. This will of course be deducted when you place your order with us.